We know that what our children see matters. Many parents carefully monitor their children's screen time, helping them choose appropriate shows and movies, but what about the ads in between those shows and movies? What messages are they sending to kids? In a world of media bias and so many one-sided messages about family, diversity, beauty, I think Cheerios ads have been getting it right for a while. This cute commercial unfortunately garnered a lot of negative attention on YouTube simply for portraying a biracial family, proving the need for more ads like it. Cheerios refused to pull the ad, and upped the ante with a touching sequel to the controversial commercial, aired during the Super Bowl. Touche Cheerios. Another frustrating aspect of advertising for me has been the stereotypical portrayal of the hard-working, long suffering mom and the lazy, incompetent dad. (Has anyone seen a laundry detergent commercial lately?) But Cheerios steps up to the plate once again to deliver a different message. These recent commercials show involved, dedicated, competent dads in entertaining and heartwarming ads. Well done, Cheerios. P.S. This commercial also nails it. It's a real biracial family, the Rukavinas, their Dad who is an amputee, and how Swiffer allows him to help more easily around the house. Way to go, Swiffer. Tuesday is all about teachers around here, and today I've got an exciting treat for all you teachers working so hard this back to school season! Candid Classroom: What Parents Want to Know & Teachers Want to Tell Them is real talk from a teacher perspective for parents about what really matters. It's a friendly conversation about the things we wish they knew and paints a true picture of the classroom, helping them to understand their children and schools better to partner with teachers. 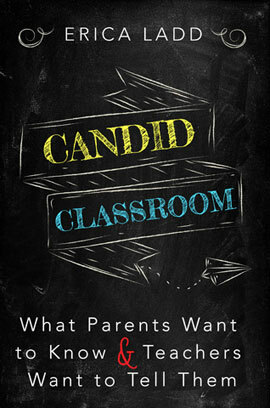 I have heard from so many teachers that they wish they could give a copy of Candid Classroom to every single one of their students' parents. Well now you can! Candid Classroom released Monday. These past few weeks have been crazy, and launching a book is no easy task. It's been exhausting, emotional, and tested every last ounce of perserverence I've had. But overall today I just feel thankful. Thankful to be given the opportunity and support to make this dream a reality, and for the excitement and enthusiasm about the book. Thank you for buying the book, leaving a review on Amazon, sharing it with your social circles both online and off. I have cherished every text message, tweet, instagram, or comment of encouragment this week and am honored that you would take the time to read my words. So, just thank you! 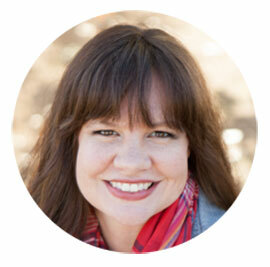 Today I am honored to be the guest on The Sarah R. Bagley Podcast! I've been listening to Sarah's podcast since I really started getting into them, and thoroughly enjoy her show each week. I'm chatting with Sarah all about Candid Classroom, the writing process, adoption, and overcoming perfectionism to accomplish big goals. I'd love for you to listen in!